The ruling party Jubilee will abandon Deputy President William Ruto after president Uhuru Kenyatta leaves office in 2022, Raila Odinga's ally Tony Gachoka said as he urged NASA to be calm. According to Gachoka, not all Jubilee supporters and its leaders will throw their weight behind the DP and wants the National Super Alliance (NASA) to suspend its planned swearing-in ceremony for Raila and wait to beat Ruto in 2022. 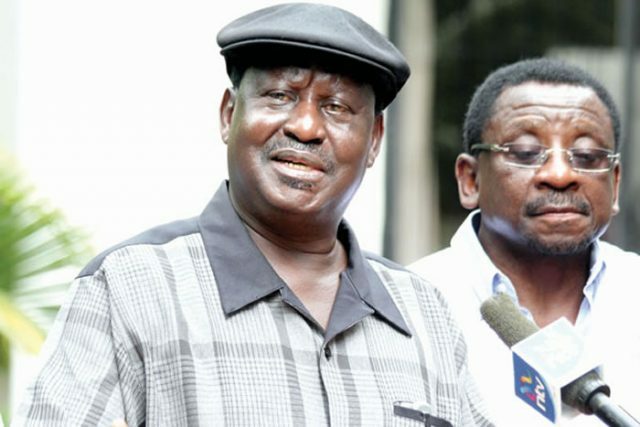 He said since jubilee will be divided at that particular time Raila will easily beat William Ruto and he has said Raila best chance of being president is on 2022..
Odinga who boycotted October 26 election hoping that there will be a shared government is now very desperate and is considering succession if government does not agree to his terms. Odinga will be too old to be President in 2022.. He will be 79 years old. .